NXP Semiconductors has developed the MIFARE Classic MF1S50 to be used in a contactless smart card according to ISO/IEC 14443 Type A. 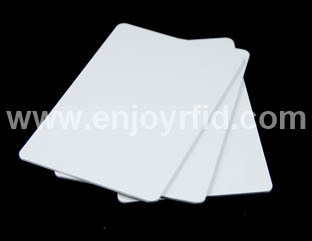 The MIFARE Classic 1K MF1S50 IC is used in applications like public transport ticketing and can also be used for various other applications. An intelligent anticollision function allows to operate more than one card in the field simultaneously. The anticollision algorithm selects each card individually and ensures that the execution of a transaction with a selected card is performed correctly without interference from another card in the field. The MF1S50 is designed for simple integration and user convenience which allows complete ticketing transactions to be handled in less than 100 ms. It is combo cards easy to install and also use proximity card reader, as it is an incredibly simple access control system. It is founded on an easy to use mechanism. It can be encoded in that manner which it reads and responds for the various electronic signals caused by access cards. Tend not to increase the risk for mistake of taking proximity card to become almost the same as swipe card used at ATM card reader. Unlike ATM card, you don't should take the proximity card in direct contact with people. Even though you show the card from your distance of an inch possibly even, it's going to work. It is used a good deal in parking garages. However, there are many proximity card readers that need touch the credit card around the magnetic face with the card reader.